Finally I am getting well. I am truly blessed with good health and it scares me to think that this good health can get taken away from me in a second. 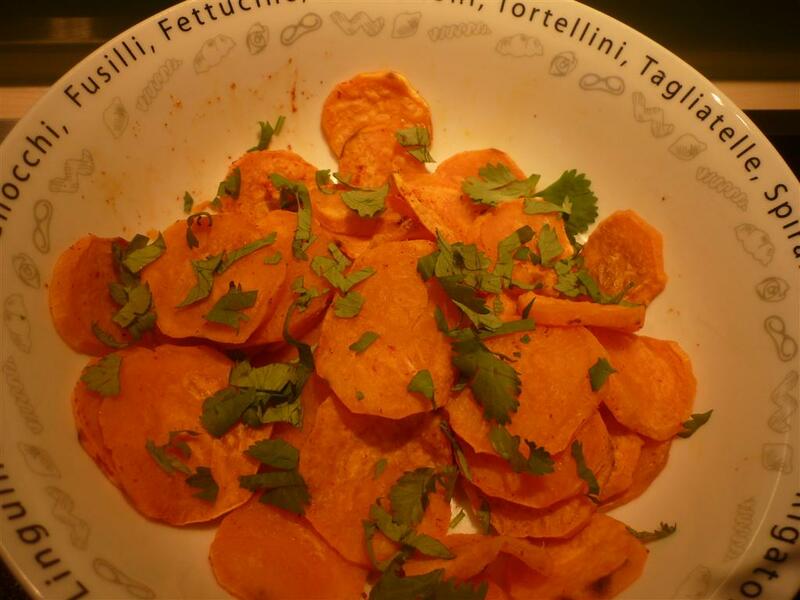 Cut sweet potatoes into thin chip shapes, place in oven 160^C for about 5-10 minutes or until just cooked. If you like them crispy then you can cut them really thin and cook for longer – I much prefer these soft and mushy. Arrange in plate, sprinkle lemon juice then chilli powder and fresh coriander leaves. Instant (well in the 10 mins it takes too cook the potato) comfort!